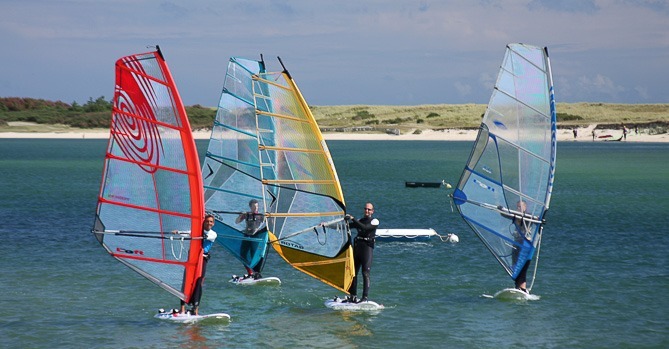 Windsurf, is a surface water sport consisting in gliding on a board equipped with a sail. The wind, applied to the sail, works as propulsive energy and makes the board move forward on water. The sail has different sizes depending on the experience and the type of practice you are looking for. Don't loose hope if you don't get the hang of it right away, windsurf pays well in time ! Renting a Windsurf from a professional means having new, quality material and to benefit from the instructions of a professional. If you are looking for some sport activity or just to have some fun, book now on HeyCaptain the windsurf rental you need. In this page you will find our best windsurf rentals and the best destinations to rent a windsurf.